Following the recent announcement of a crowdfunding campaign for Psychonauts 2, Double Fine and 2 Player Productions put out a three-part documentary about the origins of the original game. It’s a lovely, candid look at how Tim Schafer and co. scraped together their first platformer without much of a clue how to pull it off. I’ve yet to watch part three which just came out, but based on the previous installments it will be a fascinating combination of old footage from the game's development, other stuff from Double Fine’s early years, and some hokey Tim-Schaferisms. Rarely does the public get quite this sort of inside look at game development, particularly these days. A particular note of interest: Psychonauts was actually cancelled after leadership roles shifted at Microsoft, and some of their feedback said that the game might be too funny for a wide audience. Luckily, Double Fine finally secured a deal with Majesco to publish. 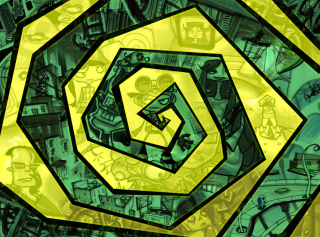 Watch the Psychonauts Retrospective: The Color of the Sky in Your World, parts 2 and 3 below.